currently under construction at 1210 South Indiana Avenue, Chicago. The development is scheduled for completion in 2019. Leases for available units range in price from $1,750 to over $6,360. NEMA Chicago has a total of 800 units. Sizes range from 420 to 1868 square feet. 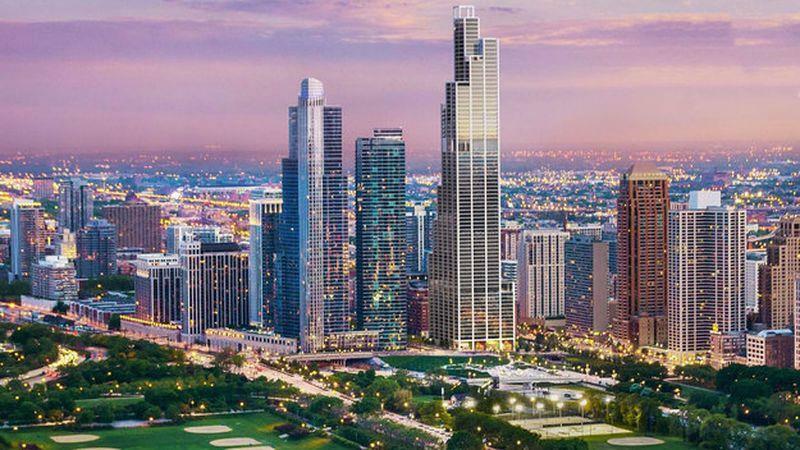 The city’s tallest rental residence, NEMA boasts unprecedented views of Chicago, Lake Michigan, and Grant Park. The tower was envisioned by Rafael Viñoly to complement Chicago’s revered pantheon of American high-rises. Designed by the renowned Rockwell Group, NEMA's interiors are sustainably-crafted and locally-inspired. Your inquiry will be delivered to the NEMA Chicago leasing team, who will send you more information about this development.